Girl is NOT a 4 Letter Word: "Curb Queens" Contest At Supergirl Pro Results. "Curb Queens" Contest At Supergirl Pro Results. Saturday saw champions crowned in pro sports beyond the surf at Supergirl Pro. 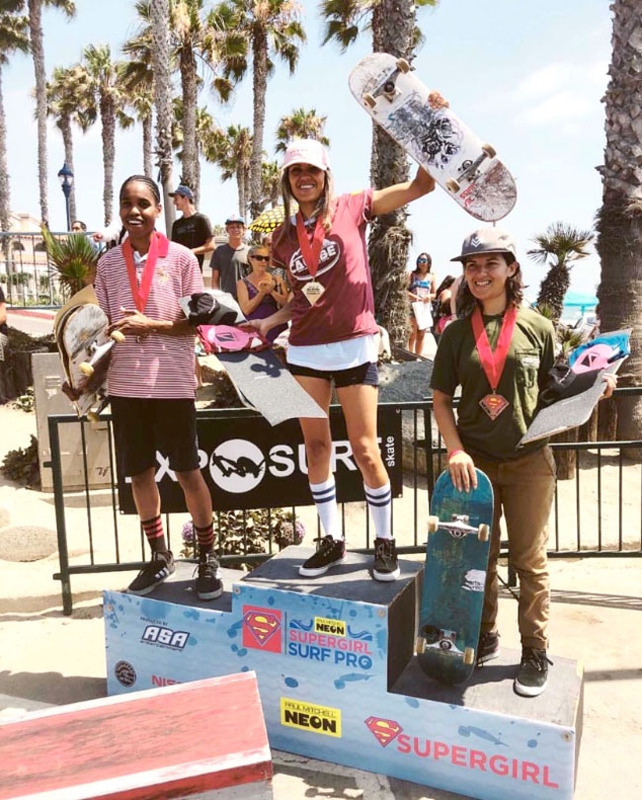 Eliana Sosco from Sao Paulo, Brazil won the inaugural Curb Queens Skate Pro Competition, with Phoenix, AZ's Nika Washington finishing second and California native Amanda Castillo in third. Big thanks to Supergirl Pro and Exposure Skate's Amelia Brodka for putting on this comp!